HOW TO CHOOSE THE BEST SUNCREAM? | RAWR BOWS. Hello! If you are anything like me you are probably getting excited about summer, going to the beach and spending most of your time either being a vampire and watching TV shows or going out and absorbing some Vitamin C from the sun. Everyone (well, most people) loves going to the pool/beach when it's hot outside and chilling with their friends but in order to do so safely we need to use suncream. I am going to be honest and say I am not the biggest fan of creams in general but I specially detest suncreams, the combination of cream and sand is far from ideal. I cannot remember the last time I used suncream which is bad, really bad... it was probably when I was a kid. I don't tend to get sunburnt so I never got used to using any kind of protection but I think it's about time I stop trying to kill myself. 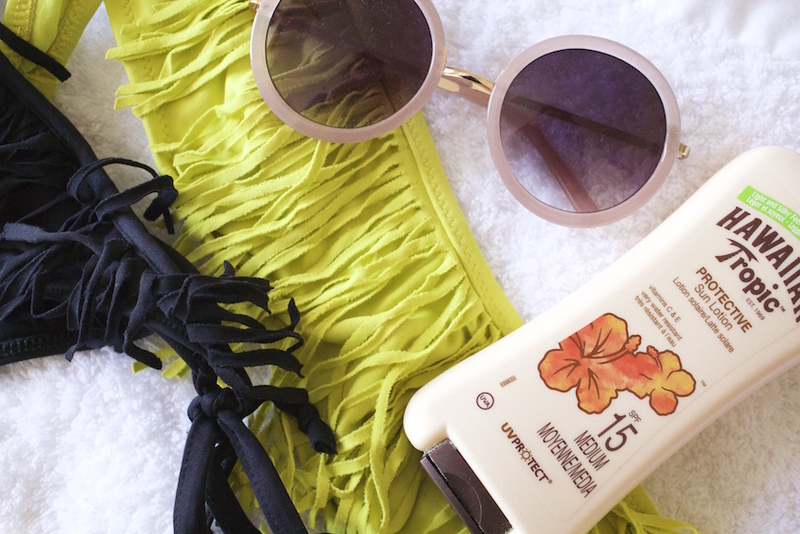 So, how do you choose the best suncream? As most of you probably know, suncreams protect you from the sun's UV rays. At first, it was thought that only one type of UV rays were harming- UVB- and that only those were cancer-causing. However, it has been recently proved that UVA rays are also harmful and even though they don't cause skin burn they do increase the risk of skin cancer and cause wrinkles. SPF refers to the UVB blockage, that is, how long it will take you to get sunburnt. If you normally get burnt in 20min then a suncream with SPF 15 would increase that by a factor of 15, i.e. you would get sunburnt in 300min. Increasing SPF doesn't block the UVB rays any better, it just increases the time. UVA protection is a bit more tricky as there is no rate, instead you will have to look at the ingredients. You want it to have at least one of the following: capsule, avobenzone, oxybenzone, titanium dioxide, sulisobenzone or zinc oxide. Now the fun part is choosing the suncream you want -smell, texture, brand... As long as it has the appropriate SPF and UVA protection you should be fine! Do you usually use suncream?